Lying in bed, trapping the warmth from leaving your cozy cocoon, you gaze out your window, taking in all the sights, sounds, and smells. You admire the surfers in search for the perfect swells, the seagulls flying in circles, the sand swirling in the wind, and the crisp, damp scent of fall that has rolled in on a cool morning. You roll over and grab the remote…for your beautiful new Northfield™ gas stove by Lopi, turn the heat up and settle in for a lazy morning. The work of art known as the Northfield™ gas stove is a stunning cast iron gas stove perfect for your bedroom at the beach. 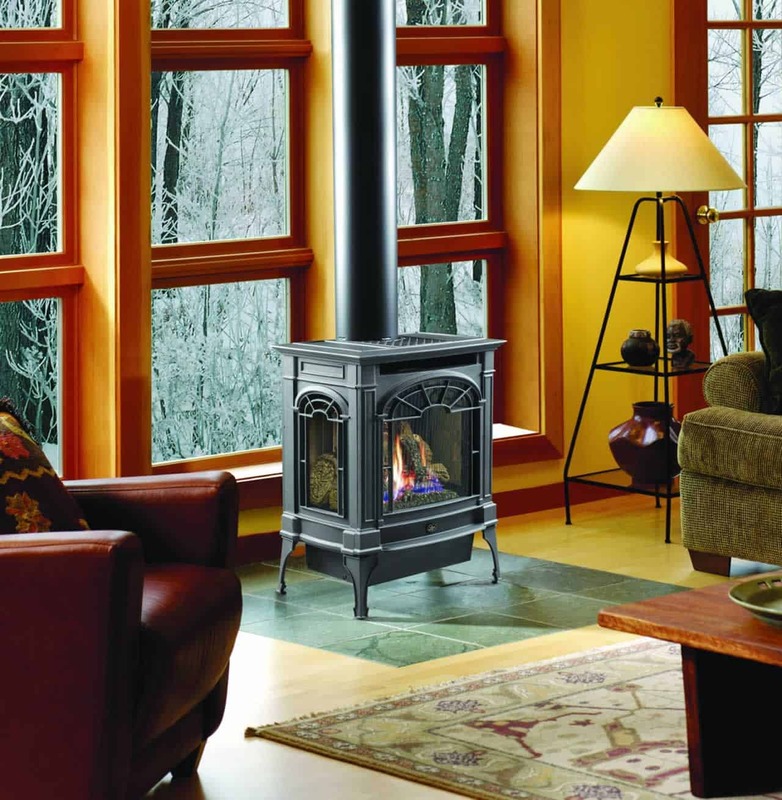 Just like the windows that give amazing sight lines out to the paradise that awaits, the Northfield™ features a three-sided wrap around view of the fire. This piece is more like a piece of furniture than a fireplace. While this stove is smaller in size, it is big in heat. It produces up to 22,000 BTUs and has an outstanding turndown ratio of 70%, giving you all the control, you need from the comfort of your bed. Never feel uncomfortable with the ability to adjust the heat output level. Comfort Control™ gives the ability to turn off the rear burner for less heat, allowing year-round enjoyment. With the ability to vent from the top or rear, there is virtually no place that this little but mighty stove can’t be. Don’t let the small size dissuade you, the Northfield™ showcases an incredibly large viewing area, 416 square inches of ceramic fire viewing glass. 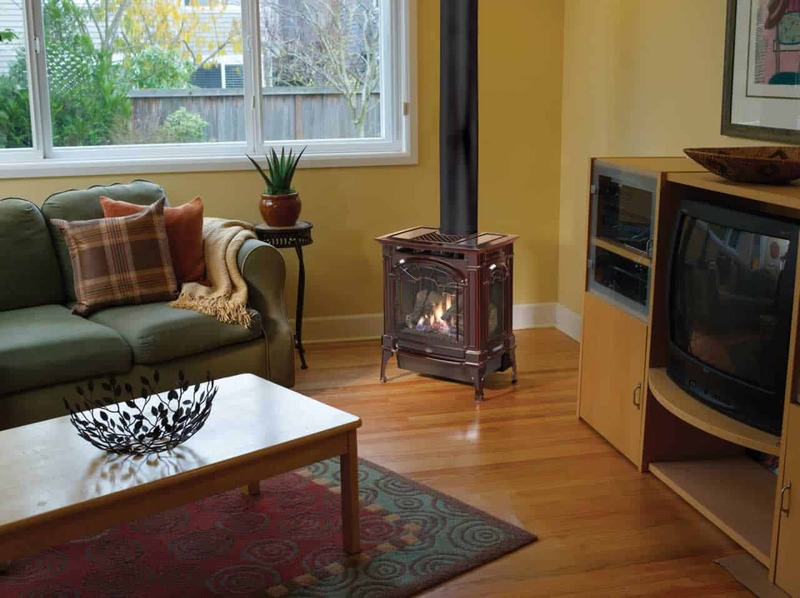 Viewing the stove’s beautiful, wood-like fire is accessible from any angle in your room. 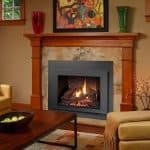 Eco-conscious features include the GreenSmart™ gas system and the Ember-Fyre™ burner. Not only is this stove environmentally friendly but it is better for you, the user. This gas stove is complete with a direct vent which preserves air quality, inside and outside your home. The Ember-Fyre™ burner is an incredible feature built into this powerful little stove. 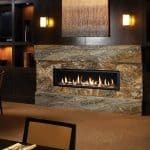 It is incredible realistic, simulating the look and feel of a real wood burning fireplace. The extremely detailed log set and leaping, yellow flames will have you wishing you never had to leave this special room in your home by the sea. With hurricane season in the fall, power outages can occur but with the help of the built-in backup battery, your stove can continue to operate during power outages. It will automatically switch back to AC when the power returns. 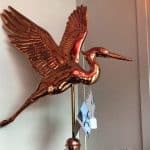 For a beachy feel, the model option that might fit best is the hand rubbed bronze patina but if you aren’t a fan of that model, there is the painted new iron or the oxford brown enamel. It comes standard with a cast decorative fireback that is highlighted perfectly by the interior accent light. 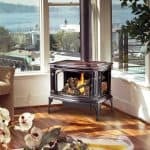 The stove’s glass features the ANSI approved safety screen, an invisible screen that helps if any accidental contact with the hot surface occurs. This fire is the convection stove that could. Heat fans will warm your room quicker than a natural convection alone. Radiant heat is provided immediately to your oasis, making it much harder to escape the clutches of your comfy bed and breath taking views. Enjoy your Northfield™ gas stove while in your favorite room at your favorite place, the beach.